Hehe, a creative Russian advertisement tells people not to make calls while driving. 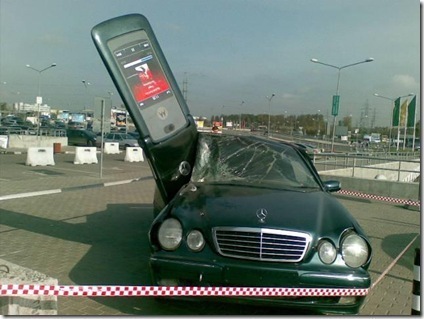 To drive a car and use your mobile phone at the same time is forbidden in Russia. And it’s reasonable. As one can see on the picture, there are no doubts that this driver was speaking the phone while driving.